Here is a nice collection of wild bird feeder webcams where you can watch various birds live from the comfort of your home or office. Many of the cams have streaming video and some can even be remotely controlled. 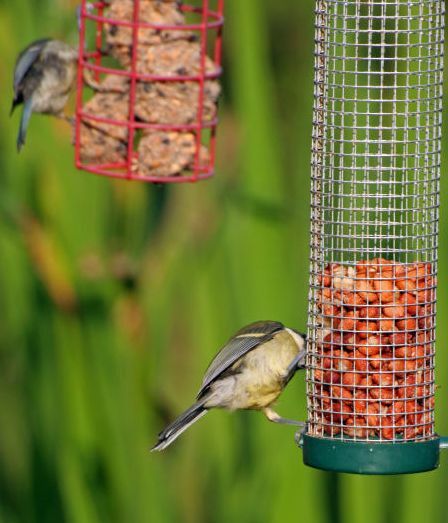 Enjoy the benefits of having a bird feeder without ever having to do all of the “hard work”. Attention bird watchers – you’re going to love this user controlled web camera brought to you by Wild Birds Unlimited. It is just what it sounds like. You get to control the camera from your web browser. Common birds you will see from this camera include the Downy Woodpecker, Blue Jay, American Goldfinch, House Finch, Tufted Titmouse, Common Redpoll, Red Winged Blackbird, Ruby-throated Hummingbird, Common Grackle, Mourning Dove and many more! You may need to wait your turn to control the camera. Once it’s your turn you will have control for 90 seconds. In the meantime, you can watch what others see. This camera is live from 6 a.m. to 7 p.m. Eastern Time. Watch the User Controlled FeederCam. Another goldmine has been discovered for you bird watchers out there. This one comes from My Forest Home in Hampshire England. There are five streams to choose from. Although it isn’t full streaming video like many web cams out there, it is still very good. You can watch the bird bath, bird feeder or three nest box cams. Watch the My Forest Home Bird Feeder Cams. 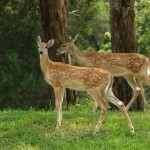 The James Reserve Wildlife Observatory offers over twenty different live web cams. There is a humming bird feeder cam, bird bath cam, feeder cams, nest box cams and even a moss cam! You can even remotely control one of the web cams. Watch the bird cams at the James Reserve Wildlife Observatory. Here’s a really good animal cam for you featuring a remote control bird watching cam with streaming video so you can pan, tilt and zoom. It is called Ivy’s backyard bird watching cam and is located in Boulder Creek, CA. Some of the birds that frequent the bird feeders include Acorn Woodpeckers, Townsend’s Warblers, Black headed Grosbeaks, Steller’s Jays, Chestnut-backed Chickadees and Oregon Juncos and many more. This cam is password protected – username and password information are located on the web site. Watch Ivy’s Backyard Bird Cam. This bird feeder cam comes to you from the rainforest of Buenaventura, Ecuador and features live views of a hummingbird feeder which will officially be streaming live 12 hours a day where you can watch over ten species of hummingbirds, Tanangers and Fly Catchers. You should also keep a special lookout as you may see Toucans and more feeding on bananas on a nearby platform. Watch the Wildlife Focus Cams in Ecuador. Live streaming bird feeder webcam located in Fort Lauderdale, Florida. Also includes a chat room to talk to other visitors… Watch the Cam Critters Bird Feeder.